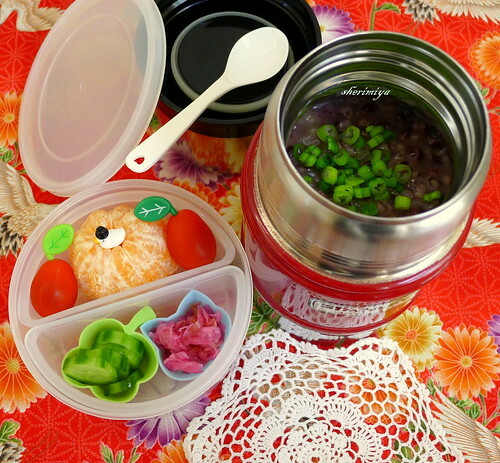 Black Rice Jook Thermal Bento, a photo by sherimiya ♥ on Flickr. 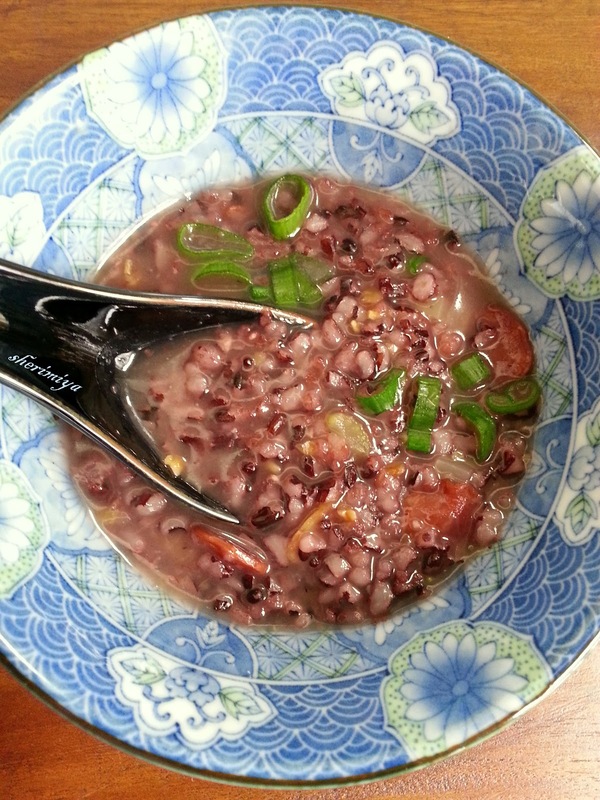 Oh I miss jook. I haven't had any since I've moved out of my parents. Love your post. Also, where do you get your plastic containers with the dividers? It's so easy to make! I hope you can make some soon. This round box I got from Daiso; so handy. It is a bit difficult to get the black rice here. Does it take long to cook? I wonder if i would know how to prepare it..